But I hope to see her..
Let's be a little artist..
You've done the fun and awareness at the same time with this movie. Hope it'll spread to young people too. It's a lot of fun! I can't wait to watch this movie as well, I've been a fan since the Finding Nemo movie and she definitely deserves her own movie! This is a movie I am so excited to see. I like Finding Nemo very much, especially the part of Dory as played by Ellen Degeneres. Very curious what the storyline will be about. I love Nemo and I love Dory, I am so excited to watch this with my tweens. They really set up the placeala Finding Dory. What's even better is that they added some Ocean Awareness to this. that looks like fun. I want to try it. 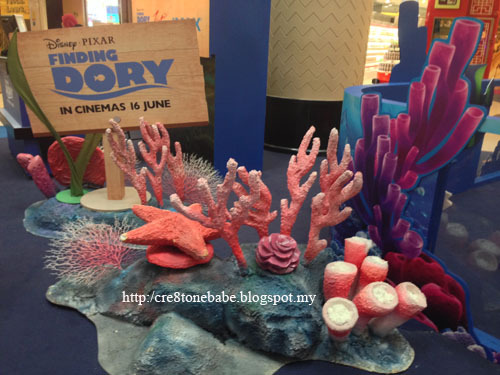 I'm also planning to watch Finding Dory too. Congrats on winning! Looks like a fun place to be! Dory is <3. Finding Nemo is one of the best film. 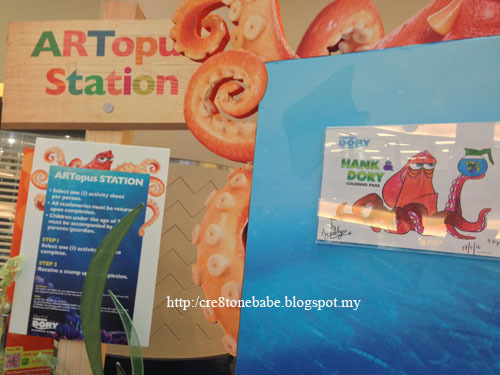 Somehow I am not too interested in watching Finding Dory. Omg omg I'm so excited for this to come out!! I've waited so long! 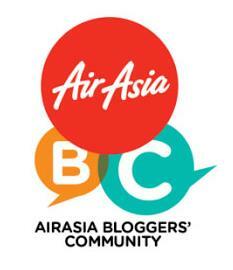 This is a fun movie to watch with the whole family during school holiday. I like it too. I can't wait for this movie!!! 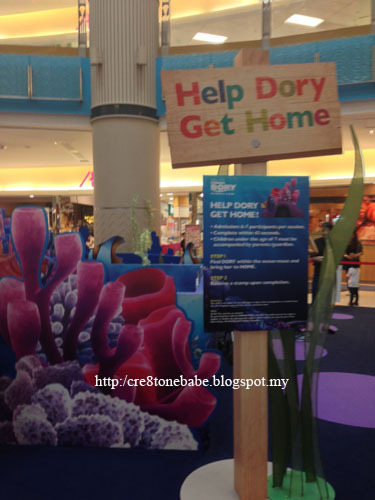 I love Dory! I can't wait to find Dory! Hehe. Been so long after the last movie, finally it is here! I watched the trailer and I can't wait for this movie. Nice!! I seriously can't wait to watch finding dory! I love this movie so much! Really can't wait for the next movie. Can't wait to watch Finding Dory! I loved how they had a promotional activity center to tell more people about the movie! My children looking forward to watch the movie. Will bring my children to join the activity too. 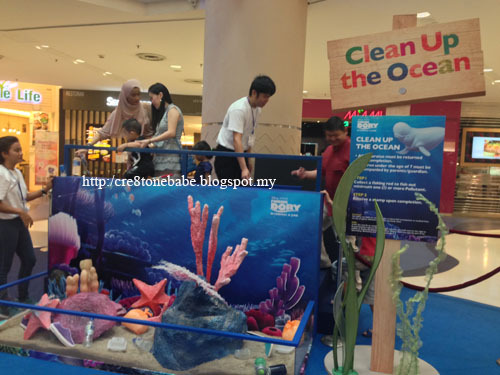 This is so meaningful, kids can have fun and learning something meaningful during this mini activity and movie. So much fun for the children and great bonding with their parents. I can't wait to watch the movie! can't wait for the movie to release. i love finding nemo very much, guess this one i will love equally. 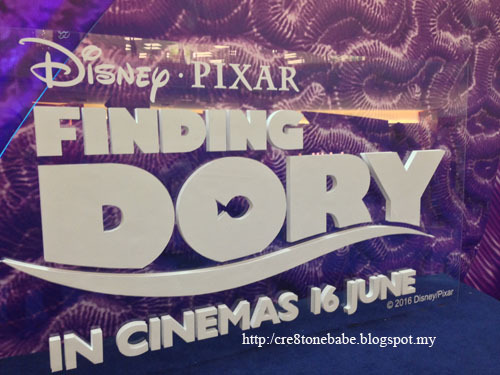 I can't wait to watch finding dory in cinema! Can't wait to bring my kids to watch this awesome sequel. Yay! 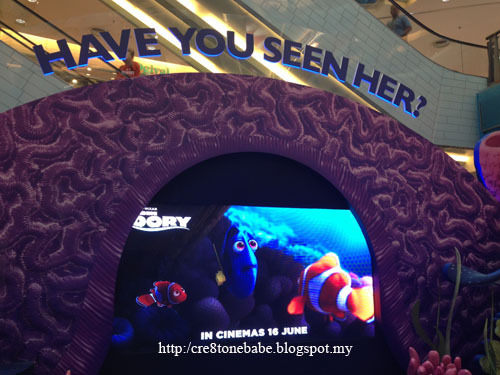 Not sure will I go to watch this Finding Nemo when it release in the cinema since my boyfriend is not a fan of cartoon. The booth and place is so pretty with all the under world deco. Finally the sequel is releasing! I am not too sure whether it will be as captivating as the Nemo. i think this movie will be quite good too, with vibarnt colours and all. Really need to re watch the movie again since the deco do made me miss the movie so much. ^^""
We're actually looking forward to this but we have to wait until the 17th. Super excited! The setting is soo adorable! Cant wait for the movie to be out :D childhood memoriesssss!